Brian J. Kirby currently directs the Micro/Nanofluidics Laboratory in the Sibley School of Mechanical and Aerospace Engineering at Cornell University. He joined the School in August 2004. Previous to that, he was a Senior Member of the Technical Staff in the Microfluidics Department at Sandia National Laboratories in Livermore, California, where he worked from 2001-2004 on microfluidic systems, with applications primarily to counterbioterrorism. From 1996-2001 he worked as a graduate student in the High Temperature Gasdynamics Laboratory at Stanford University, where he developed laser spectroscopy techniques for imaging gases in flames for combustion and aerothermopropulsion applications. From 1994-1996 he worked as a graduate student in the Variable Gravity Research Laboratory at the University of Michigan, studying multiphase heat transfer processes; at Hewlett-Packard Laboratories in Palo Alto, CA, studying fluid mechanics processes in hard drive stacks; and in the Gas Dynamics Research Laboratoriesin the Aerospace Engineering Department at the University of Michigan, studying soot formation processes in low-pressure diffusion flames.Professor Kirby has received a 2002 R&D Top 100 Invention award for work on microvalves for high pressure-fluid control, a 2004 JD Watson Investigator award for microdevices for protein production and analysis, and a 2006 Presidential Early Career Award for Scientists and Engineers (PECASE) award for nanoscale electrokinetics and bioagent detection. He has received the 2008 Mr. and Mrs. Robert F. Tucker Excellence in Teaching Award, and he has also been selected to participate at the 2008 National Academy of Engineering Frontiers of Engineering conference.Prof. 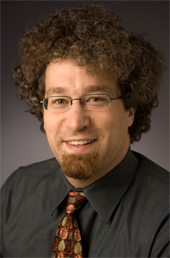 Kirby has taught in various capacities in the Sibley School of Mechanical and Aerospace Engineering at Cornell, the Mechanical Engineering Department at Stanford, and the Chemical Engineering Department at the University of Michigan, and has authored a leading textbook on microscale and nanoscale fluid mechanics. Professor Kirby is a member of the graduate fields of Mechanical Engineering, Chemical Engineering, Biomedical Engineering, and Aerospace Engineering. He is also a member of the Nanobiotechnology Center and the Center for Microenvironemnt and Metastasis and a Faculty Fellow of the Atkinson Center for a Sustainable Future, and sits on the advisory board of the Innovation Incubator at the Clinical and Translational Science Center at the Weill Cornell Medical College.